AIAG’s 2019 Event Lineup is Here! 2019 AIAG Supply Chain Summit*: Our 2019 Supply Chain Summit will explore results of the global "Supply Chain 2025" research project, cutting edge topics in Supply Chain technology, what to expect from new developments in globally-accepted risk management assessments, the latest in global trade policy, Finished Vehicle Logistics, and much more. 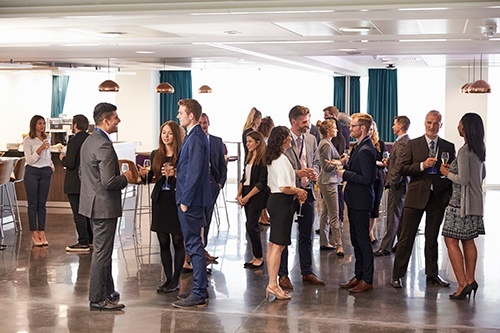 Join us on June 18, 2019 for our flagship AIAG Supply Chain event. 2019 AIAG Member Golf Outing: Golfers of all skill level are invited to participate in AIAG’s annual member golf scramble. Held at the beautiful Cherry Creek Golf Course on June 19, 2019, this year’s event will begin with registration and continental breakfast before a shotgun start, and end with dinner, awards and a prize raffle immediately following golf. 2019 AIAG/SCAC Supply Chain & Quality Conference*: Join us September 12-13, 2019 for this annual event in scenic Charleston that showcases the breadth of supply chain and the precision of quality. Once again, regardless of tier or company size, topics that are highly relevant to your supply chain will be brought to the forefront, leaving no issue unturned in the ever-changing, ever-challenging world of automotive manufacturing. 2019 AIAG Quality Summit*: If you are responsible for quality or product development, AIAG’s Quality Summit is the premier automotive industry quality event of the year! Scheduled for October 2-3, 2019 at the Suburban Collection Showplace in Novi, Michigan, the 2019 event will provide both OEM and supplier perspectives on how to navigate the industry's requirements for quality and product safety. 2019 AIAG Customs Town Hall*: This annual gathering of importers, exporters and associated service providers will take place on November 7, 2019 in Livonia, Michigan. Together, we’ll explore topics pertaining to new and ongoing programs impacting customs, international trade, compliance programs, and much, much more. Stay tuned for more details and news of additional events as we update our calendar throughout the year!